Martin Hughes-Games presents the Tree Sparrow. 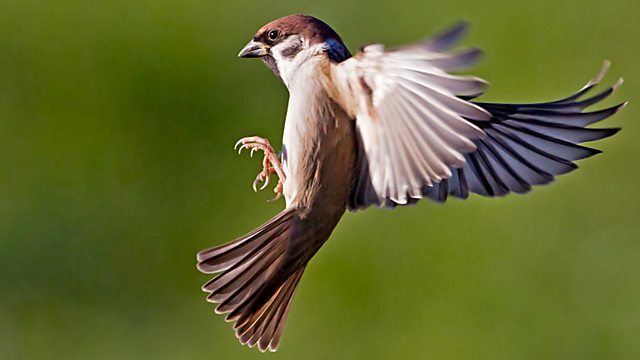 The tree sparrow looks like a freshly-scrubbed house sparrow; with its russet cap, white cheeks and smarter appearance. Martin Hughes-Games presents the Tree Sparrow. With its russet cap, white cheeks and smarter appearance, the tree sparrow looks like a freshly-scrubbed house sparrow. Unlike house sparrows whose sexes look very different, the male and female tree sparrows are identical.